What's up, everyone! 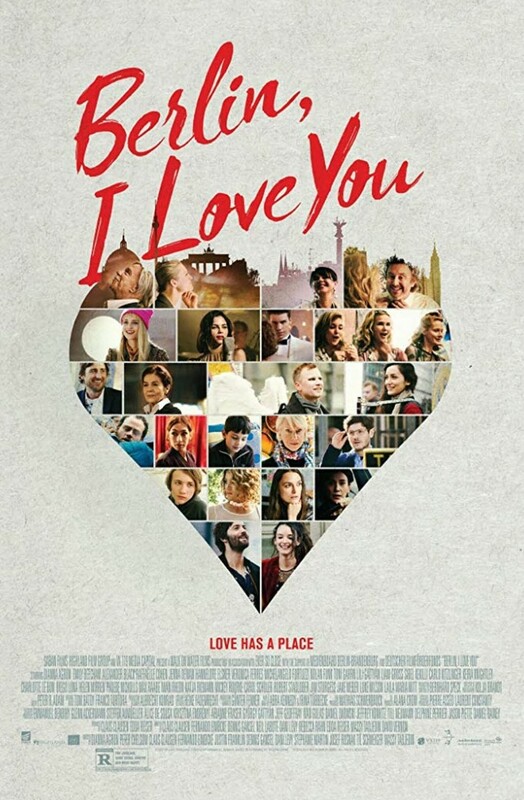 Sam here to talk about the upcoming film BERLIN, I LOVE YOU set to hit select theaters on Friday, February 8, 2019. "Set against the vivid backdrop of Berlin, BERLIN, I LOVE YOU weaves ten stories of compassion, redemption, and acceptance into a rich tapestry of life and love." While watching this film I couldn't escape the thought of the famous 'New York, New York' lyrics, "If I can make it here, I can make it anywhere" was happening right before my eyes Berlin style. Each story has a unique attachment to the Berlin whether it be through personal dream or aspirations, historical events, recent political crisis, etc. Overall, I found five of the ten short stories satisfying. I don't know about you, but I judge the art of good short film based on the sense that I have been gifted with just enough to understand what took place, yet left with a yearning for more details. Berlin Ride, Drag Queen, Embassy, Berlin Dance and Teenager are the stories that granted me with that gift. "Berlin Ride" opened as the first complete short-film and rightfully so! This love story was eccentric yet quaint. When it was over, I was pleased that two unseemingly individuals found one another. However, I longed to know the back story of the two main characters. Also, the artistic eye of the photographer captured within the storytelling was stunning. "Drag Queen" was an exploration of the feelings of a drag queen and a sexually curious teenage boy. The conversation that took place between these two strangers was an engaging learning experience that left me curious about what led them to this desolate place of escape within the city. "Embassy" was packed with espionage and intrigue. This particular story deserved an entire season on a television network. "Berlin Dance" was so beautiful...it was so picturesque...it just made me reminiscent of Fred Astaire and Ginger Roger's film I would see as a kid. Jenna Dewan appeared so graceful, and I wanted to know what magical journey I would go on if it was a full-length movie. "Teenager" felt like it could become an in-depth and insightful story about the experiences of a refugee family seeking asylum. What was their life before they came to Berlin? How would they compare the country they fled to Berlin, Germany? These were all great stories that had me spellbound. Transitions, Love is in the Air, Me Three, Lucinda in Berlin and Under Your Feet lacked luster for me. "Transitions" was the featured short story that not only opened and closed the film but was cut and edited to be seen throughout its entirety. This love story felt predictable and lacked quality. "Love is in the Air" also felt predictable when a young woman gets hit on by an older man in a bar (Mickey Rourke was cast perfectly, by the way). As their conversation unfolded the relationship between the two seemed obvious and hence disgusting when the young lady chose to meet the older man in a room under the pretense of sexual intimacy. "Me Three" was undoubtedly creative in its musical style and added variety to the style genre from which the stories were told. However, with the influx of #metoo stories slamming the public left and right, this one didn't hold my interest. "Lucinda In Berlin"...shoulder shrug. "Under Your Feet"...another shrug. If that story had more focus on the boy and not the typical 'judgemental mother/independent daughter who are at odds' dynamic I would have thought differently about it. So there you have it, my thoughts on BERLIN, I LOVE YOU are middle of the road. I didn't love it. I didn't hate it. Had I been given a chance to review the script I would have edited out the five short films I felt lacked luster and expanded on the other five I felt where absolutely great. My fellow film enthusiasts, enter this one at your own risk.